Shelly gives talks on a wide range of topics, schedule a customized speaking event today. Shelly Beach has been described as one of the nation’s most transparent and engaging speakers. A favorite guest of top radio hosts across the nation, Shelly delivers biblical truth in seminars, conferences, and retreats with honesty, humor, candor, and practical wisdom. Shelly customizes uplifting programs for churches, women’s groups, conferences, schools, conventions, writers’ conferences, incarcerated sisters, family caregiver groups, and professional health care providers. She also consults on post-traumatic stress disorder (PTSD) and teaches about trauma-informed care and the importance of understanding trauma and PTSD in faith-based organizations. Shelly is the author of fifteen books, including the multiple award-winning Love Letters from the Edge, written with co-author Wanda Sanchez (Kregel Publishers 2014), Precious Lord, Take My Hand (Discovery House Publishers 2007), a collection of meditations for caregivers, and Ambushed by Grace: Help and Hope on the Caregiving Journey (Discovery House). Shelly’s first contemporary Christian novel, Hallie’s Heart, (Kregel Publishers), won a Christy Award. Shelly is also the author of The Silent Seduction of Self-Talk: Conforming Deadly Thought Patterns to the Word of God (Moody, 2010). She presents the life-changing concepts from Love Letters from the Edge and The Silent Seduction of Self-Talk, as well as her caregiving books in conferences, seminars, prisons, and on nationally syndicated radio shows across the nation. 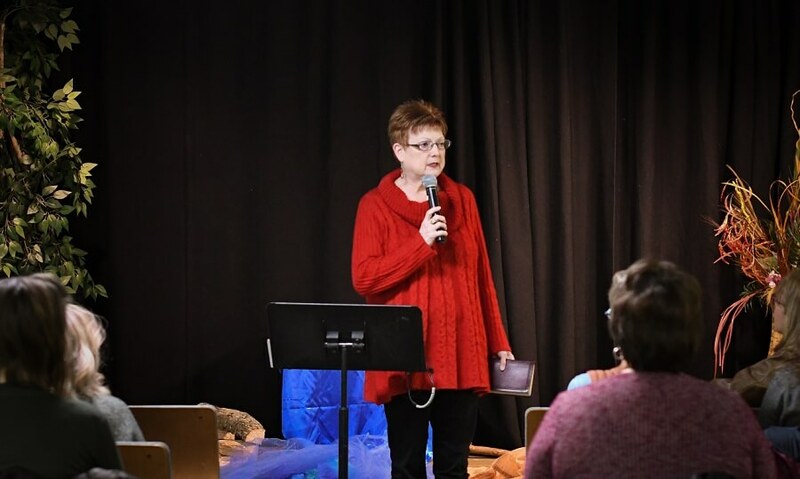 Shelly is a co-founder of the Cedar Falls Christian Writer’s Workshop in Cedar Falls, Iowa, and the Breathe Christian Writer’s Conference in Grand Rapids, Michigan. "Shelly combines life experience with humor and a deep understanding of God's reality as she offers encouragement and hope to audiences." —Sandra P. Aldrich, BoldWords, International Speaker and Author. Shelly speaks from life experience as a woman who has dealt with sexual assault, caregiving in her home for her parents and her father-in-law, the challenges of chronic illness, and other faith-stretching challenges. Using humor, honesty, and stories of finding grace in the grit and gravel of life, Shelly offers hope that is only possible through the power of Jesus. Using a powerful personal story of despair transformed by truth, Shelly shares principles of perspective that impact our relationships with God and those around us. This session helps us see that while we often see tragedy, we see in only one dimension. Based on the main themes in Shelly’s book The Silent Seduction of Self-Talk: Conforming Deadly Thought Patterns to the Word of God, this session teaches principles of taking thoughts captive to the glory of God. Have you ever looked at your life and wondered how God could really be in control? Shelly uses humor and experiences as a motorcycle biker to show listeners the meaning of abandonment to God. When we step away from the goodness of God to our own quest for control, life becomes a struggle for power, positioning, self-promotion, and self-protection. Learn how to turn self-talk into “God-talk” and move forward to new levels of intimacy with God. The word “motive” begins with the letter “m,” ends with the letter “e,” and has the letter “I” at the center. Because of our selfish nature, we’re often driven by hidden agendas and self-centered motives (me/I). Learn how discovering your true identity in Christ can transform your thinking and your relationships with others and move you to the next level in your walk of faith. Has your heart been broken by life? Learn how God can transform even our “trash heap” experiences into our greatest treasures. As caregivers, we’re often so bogged down in the day-to-day routine of our tasks that we miss the bigger picture. Shelly’s hilarious experience as a passenger in a hot air balloon gives caregivers a new perspective for the eternal destination of the road they walk. One of caregivers’ most persistent frustrations is fatigue (and burnout). Shelly shares her struggle as a caregiver with health challenges who was simultaneously caring for a daughter with PTSD, a struggling son, her father-in-law with Parkinson’s who lived in their home, and her mother with Alzheimer’s four states away. Learn Shelly’s secrets to battling caregiver fatigue. Caregiving is one of the most difficult things we will ever do. The care we pour into our loved one must flow from an overflow of our love for God. Learn how to drive the pipe deeply into God’s love to fortify your spirit and soul as a caregiver. Jesus was the ultimate caregiver. Learn His’ principles for caregiving to help balance your caregiving life and bring your priorities into perspective. A session for church and parachurch leaders that helps them understand the prevalence of PTSD (8% of the general population) and how trauma influences their congregations and ministerial groups. Church and church-related activities often feel unsafe for those who have experienced trauma. This session helps ministry works better relate to those dealing with symptoms of trauma and PTSD. This session presents an overview of various aspects of PTSD, causes, symptoms, brain function, etc., and how people feel and respond. This session presents the dual function of the right and left hemispheres of the brain and how they are affected during a traumatic event. It also explains the fight—flight—freeze response. Those with PTSD leave with a greater understanding of why their symptoms are there and the types of activities and treatments that can help them. Triggers can be one of the most difficult aspects to manage for someone who lives with PTSD. This session explains common triggers and grounding techniques that can help provide coping strategies. "The speakers were knowledgeable, funny, and intimate. 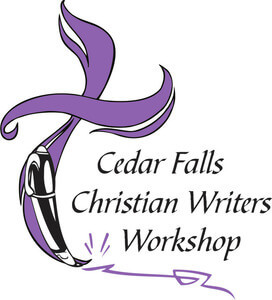 I have been so blessed by the Cedar Falls Writers conference and can't think of anything I would change."